Who is the observer in a process of scientific experiencing of the universe? Is observer part of the mind or is observer consciousness itself. We will explore this subject here by studying the role of observer in a process of experiencing of time. Today in physics there are two fundamental approaches to time. The first and most common approach says we use clocks to measure the time component of space-time, space and time being cofounded as the basis of physical reality. However this approach has no experimental support. There is no evidence whatsoever that clocks measure one aspect of space-time, and in truth we cannot observe space-time at all. The second approach says time is cofounded with motion through space. This approach is supported by experiment and observation. We employ clocks to accumulate local internal motion, and then use the result to calibrate duration. This is then employed in the measurement of external motion or material change, and the comparative rate of such change. Our evidence tells us that this rate of change varies with gravity, being commonly known as gravitational time dilation. However we can only measure space and motion, not time, and thus we must assert that the true basis of fundamental reality is space and motion rather than space-time. Time is run of clocks in space. Space itself is timeless. Non-awakened observer experiences run of clocks indirectly through psychological time of past-present-future. Awakened observer experiences time directly as a run of clocks in timeless space. Awakened observer is conscious that linear time past-present-future is merely model of the mind and that universe itself is timeless. Awakened observer is also conscious about himself. He is consciousness itself. There is no experimental evidence whatsoever to support the view that space-time exists as the basis of fundamental physical reality. We cannot observe space-time directly, nor can we actually observe a world line, or a light cone. We should remember that space-time is an abstraction, a 3+1 dimensional "mathematical space" devised for ease of calculation. In real experiments we observe motion, or the resulting changes, in physical space. Space is the arena in which massive bodies move and particles interact. The motion and change is patently observable, we can literally measure a distance, and we can be utterly confident that space exists. We employ clocks to measure duration and we record a sequencing to the motion and the material changes that occur in space. Here time is derived from clocks whose internal mechanisms are themselves in cyclic motion through physical space. Physical space itself is therefore timeless, time is derived from motion through it, and negative motion is an impossibility. Thus travel to the past is out of the question. A growing number of modern researchers are challenging the view that space-time is the fundamental arena of the universe. They point out that it does not correspond to physical reality, and propose 'timeless space' as the arena instead. One recent paper on the subject is A New Geometric Framework for the Foundations of Quantum Theory and the Role Played by Gravity (1). Another recent paper says 'We illustrate our proposal using a toy model where we show how the Lorentzian signature and Nordstroem gravity (a diffeomorphisms invariant scalar gravity theory) can emerge from a timeless non-dynamical space' (2). Julian Barbour says in The Nature of Time: 'I will not claim that time can be definitely banished from physics; the universe might be infinite, and black holes present some problems for the time picture. Nevertheless, I think it is entirely possible, indeed likely, that time as such plays no role in the universe' (3). Such challenges are nothing new, and go back as far as Aristotle. Even Ernst Mach said: 'It is utterly beyond our power to measure the changes of things by time. Quite the contrary, time is an abstraction, at which we arrive by means of the changes of things'. Time and clocks are man-made inventions. Motion is primary, time is secondary. Time is an artifice of measurement, a useful tool that permits us to build mental and mathematical models for our daily lives as well as for our physics and cosmology. But time as a fundamental entity has no role in physics. Minkowski space-time is a mathematical abstraction derived from this motion. The motion is not through space-time, and not through time. It is through space, and space itself is timeless. 'We show how continuous-variable systems can allow the direct communication of messages with an acceptable degree of privacy. This is possible by combining a suitable phase-space encoding of the plain message with real-time checks of the quantum communication channel. The resulting protocol works properly when a small amount of noise affects the quantum channel. If this noise is non-tolerable, the protocol stops leaving a limited amount of information to a potential eavesdropper' (4). Here it is considered that information does not move through space-time, but instead moves through space, an immediate medium for identifiable quanta. This is echoed by the concept of a photon as a particle which "experiences no time", long-wave radio reminding us that a photon is an extended entity perhaps 1500m long rather than a point particle. The EPR experiment similarly reminds us that physical space is a timeless environment. There is no discernible signal in the form of a photon travelling between A and B. The time of information transfer between A and B is essentially zero, and we might infer that A and B are similar extended entities which experience no time (5). Physical space as an 'immediate information medium' resolves the causality problem of Fermi two-atom system: 'Let A and B be two atoms or, more generally, a 'source' and a 'detector' separated by some distance R. At t=0 A is in an excited state, B in its ground state, and no photons are present. A theorem is proved that in contrast to Einstein causality and finite signal velocity, the excitation probability of B is non-zero immediately after t=0. Implications are discussed' (6). The excitation probability of B is non-zero because the space in which atoms exists is an 'immediate medium of excitation'. There is no time needed for information or excitation to transfer from A to B. Since instantaneous action at a distance remains an uncomfortable concept, we might again infer that A and B are extended entities which experience no time. From the above in conjunction with the second approach to time, certain physical phenomena might be said to be timeless, wherein no measurable time can be said to have elapsed. For example within Attosecond Ionization and Tunneling Delay Time Measurements in Helium by Eckle et al, a conclusion is drawn wherein "an electron can tunnel through the potential barrier of a He atom in practically no time" (7). In similar vein a recent arxiv paper depicts a system of diagrams to represent the various elements of a quantum circuit, in a form which makes no reference to time (8). According to loop quantum gravity, space itself consists of quanta (9). Taking into account references 4,5,6,7,8, the perspective gained is that energy/information (I/E) is transferred between spatial quanta whose size is governed by the Planck length. 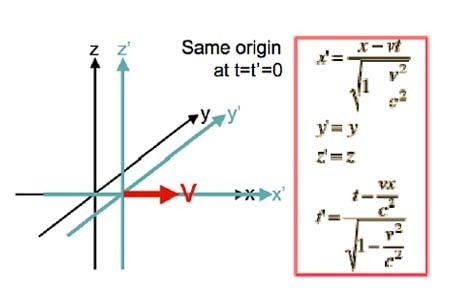 According to this interpretation, the time t and velocity v do not apply for a direct transfer between quanta. On the other hand, the time t of indirect quantum energy/information transfer via photons is non-zero, whilst velocity v is light speed. Another recent paper examining quantum tunneling says: 'The physical meaning of the zero real time is that the particle instantly jumps from one side of the barrier to the other regardless of the thickness. This leads to the illusion that tunneling particles could actually travel faster than light. The results of recent experiments in quantum optics concerning tunneling time can be thought of as the first experimental confirmation of the existence of imaginary time. Relativity is not violated' (10). The interpretation here is that real time t is the familiar time of clocks, and imaginary time it is a component of a mathematical fourth dimension X4 = i ct. With X4 we describe the motion of particles that move at c, wherein X4 is a 'coordinate of motion' in timeless space (11). Tunneling particles do not "travel" through mathematical imaginary time it, they simply experience no time as they transfer from one measurable location to another. Hence employing it as a real coordinate of space-time is not supported. Imaginary time is indeed imaginary. And since X4 is a product of c and it, "real time" is also rendered imaginary. We should instead write X4 = ct, where X4 is a real coordinate of motion in timeless space. A mathematical model of space-time can thus be re-interpreted as a mathematical model of space-motion. In 1908 the English philosopher John McTaggart Ellis said "It will be convenient to begin our enquiry by asking whether anything existent can possess the characteristic of being in time. I shall endeavour to prove that it cannot" (12). And yet we still suffer from a conviction that has no supporting evidence whatsoever. As humans we operate using a psychological model of time which involves the past, present, and future. At home in a chair we consider ourselves to be motionless whilst travelling forwards through time. We imagine ourselves to be stationary observers, and we forget that our brains are operating via the motion of electrical signals. We forget that we can only experience our thoughts and produce the elaboration of psychological time because of the internalized motion that drives our consciousness. With practice however, one can gain an awareness of "the flow of thoughts", and thence an awareness of our own internalized motion. We can then liken our brains to clocks, and this new awareness of internal motion supplants the notion of motion through time. We then become conscious of timeless space and its physical existence in this present moment, and see at last that the past and future are block-time abstractions constructed by our brains. The thing we call physical time is a measure of the motion of clocks. Mathematical time is the symbol t in equations, representing the measure we call duration and the sequencing of motion. Symbol t represents duration and numerical order of events in timeless space. Smallest unit of time is Planck time (10 second −44 ). In Planck time photon pass Planck distance ( metters 35 10− ) of timeless space. Psychological time is a mental abstraction, since the observer experiences motion in timeless space. Distinguishing between these three times leads us into atemporal experience of motion. Motion occurs in timeless space. We experience it through psychological time, wherein information concerning motion enters the eyes, and is then is elaborated by the brain to become part of our experience. This involves a re-interpretation of the original information, distorting it, and interfering with perception. However once we become aware of psychological time, we can experience motion directly as it occurs. This direct experience gives the scientist an objective view of the timeless nature of the physical world, and in my view is essential for the further development of physics. It can be achieved with something as simple as a pendulum. Observe a pendulum, and for the first few minutes you will experience the pendulum moving in space and time. Close your eyes to envisage an image of the pendulum moving in your mind's eye, and you then become aware of the internalized motion within your brain that drives your consciousness. Observer is consistent part of scientific experiment. In temporal experience observer is captured in psychological time. In atemporal experience observer is fully aware of psychological time and experiences motion directly. In direct experience of motion observer experiences directly also himself. He becomes aware that he is consciousness itself (13, 14). Another paper on arXiv examining arrow of time says: In the concluding section 7.1., we translate the consequence of our interpretation in a less technical language. That 'Time' is related to our perception process, and conscience could be responsible for the collapse of the wave function, are not new ideas. Only now they have reached the responsible maturity, being ready to receive a satisfactory scientific formulation. As a 'confirmation' of the present author's views exposed in (28) an idea starts to spread (12): 'It is not reality that has a time flow, but our very approximate knowledge of reality. Time is the effect of our ignorance'(15). Here we confirm that the time we experience in physics today is intimately related to our perception process. Observation of motion remains ensnared in psychological time. Experiencing in linear time is the result of not clearly distinguishing between physical, mathematical and psychological time. Once observer is awakened he experience run of clocks and motion directly as they run in timeless space. 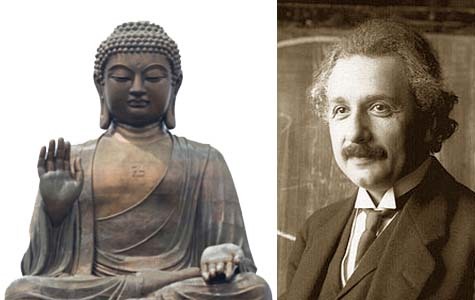 Awakened observer is a real scientist who will create only in a favor of life and humanity. Once we will bring observing, watching, witnessing of the mind means meditation in science the whole humanity will change. We will reach beyond our egos into pure existence of eternal now. Eternity is now in this present moment of your breath. When you discover it you become independent, free human being that nobody can manipulate. You become a Real Scientist of Life. The atemporal experience offers a route to the unification of general relativity and quantum mechanics. Experiments confirm that stellar objects and elementary particles move in physical space. With clocks we measure duration and the rate of motion. Physical space itself is timeless, but its properties influence the rate of motion and so clocks, resulting in what we call time dilation. The orbital motion of Mercury is reduced, and clocks run slower at sea level than on the top of a mountain. With this understanding we can give a theoretical basis for the unitary description of the motion of massive bodies and elementary particles through timeless physical space. When physical objects move, they move through space, not through space-time, and not through time. Time is derived from this motion through space, and space itself is timeless. Whilst the speed of light is considered to be a maximum rate of motion, at the Planck level energy and information transfers appear to be timeless. Clocks are macroscopic measuring devices which accumulate local internal motion, and we can record a sequencing of that motion and the changes that occur in space. But we can find no evidence to support the existence of space-time as a fundamental entity. Accordingly we must conclude that we live in a timeless atemporal universe of space and motion, where the past and future only exist in the human mind. To have insight of the timeless nature of the universe observer has to become aware of the impact of psychological time on his experience of motion. In timeless experience of motion observer becomes aware of himself, he becomes awakened. Awakening of the observer is a frontier perspective of physics; an ultimate possibility that can be achieved by the sincere examination of the process: motion-perception-mind elaboration-experience of the observer. Reading your article on 'Real Scientists in Life' has been a real revelation for me. I was immediately struck with the resonances with my own conclusion that the universe fundamentally evolves (changes) in a dimension of timelessness - and that reality is created (and only exists) in the present of every 'now'. The impossibility of travelling back in time is a consequence of 4 dimensional reality only existing in the present of every moment. The state of the universe as it appeared at any given moment in the past, no longer exists as a place we could go back to. Do you think that if it is assumed that cause and effect, (evolutionary change), is the fundamental law of the universe, (as consistently observed throughout our 4D orientated physical universe) that it therefore also applies in a universe which exists in a timeless dimension. We exist in a 4D physical reality which was created at the time of the Big Bang. However, because space and time is regarded as being created at the BB, a 'cause' cannot exist before an effect. If we accept the present theory that the ultimate fate of the universe is that it will expand to such a size that no energy is being exchanged, we can therefore assume that time and space will no longer exist. As dissipated as it may be, the sum of all energy in the universe remains constant. It will continue to exist in a dimension of timelessness where cause and effect continues to be the single fundamental law of the universe. In a timeless dimension, the law of cause and effect, ( defined as taking the path of least resistance), has eternity to establish a connection between the infinitely stretched wavelengths of electro magnetic energy. The mechanics of how this would work will of course, forever be unknown. My own intuition is that the wavelengths of the extant EM radiation in this timeless universe, eventually establish resonant connections and harmonies as standing waves. The eventual establishment throughout all eternity of the perfect harmony between all the wavelengths of the whole spectrum of EM energy in a timeless universe, created a note which consisted of the sum of all the energy which exists. Perhaps our own BB was caused by events which occurred when time and space ceased to exist in a previous universe.